Opera has release a State of Mobile Report for 2016 and the results are very interesting. 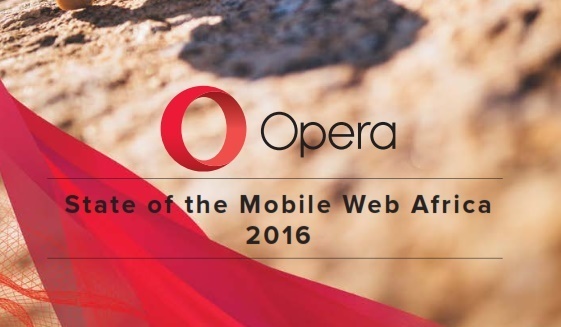 This report sheds light on the opportunities, and challenges seen with the use of Opera’s services in Africa. *.Nigeria is the most “mobilised” country in the world, ahead of South Africa and India with 76% of internet traffic going through mobile. *.Between 2011 and 2016 smartphone penetration rose to 121% from 7 million to 15.5 million. Opera Android users grew by 5,379% in the same period. *.Opera users on Mini and Max in Nigeria saved approximately $280 million worth of data costs in 2016. *.As of June 2016, Nigeria has 16 million Facebook users, and 70% of them access Facebook through Opera Mini. *.Android users make up 42% of overall Opera Mini users. *.Nigerian, Kenyan and South African Opera users collectively saved data equating to over half a billion US$ in 2016. *.By market share, Opera is the top mobile browser in Nigeria with 71.8% users. This is followed by UC Browser (10.47%), and Chrome (5.6%) etc.